Hi! I'm Katie Palser and this is my personal site! Welcome! 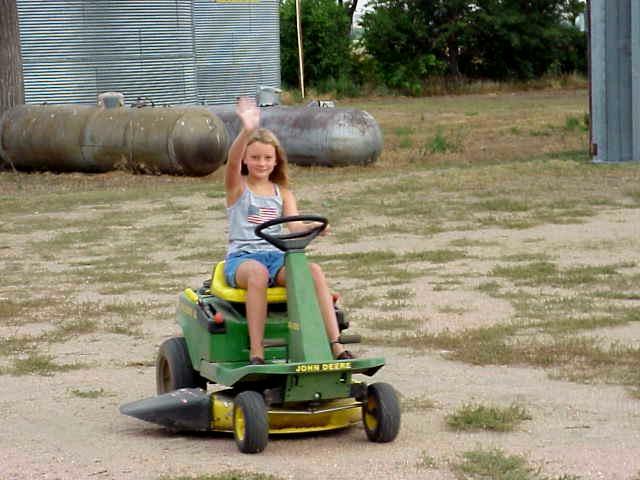 This is a picture of me at the my grandparents house riding their tractor in Big Springs NE! I'm 11 years old and I'm in 5th grade at Country Place Elementary. I have 2 beagle dogs that are 12 and 1! I have a sister named Sarah who is about to turn 8 and a Mom and a Dad that I live with in Carrollton Texas. I made this site with my Grandma Bear's help and I hope you enjoyed my site. Thanks for visiting it!